A home office report has revealed that 46 per cent of cars stolen in 2013/2014 were accessed using the key. That said, car crime overall is at its lowest since records started, down 80 per cent since a peak in the early 1990s. 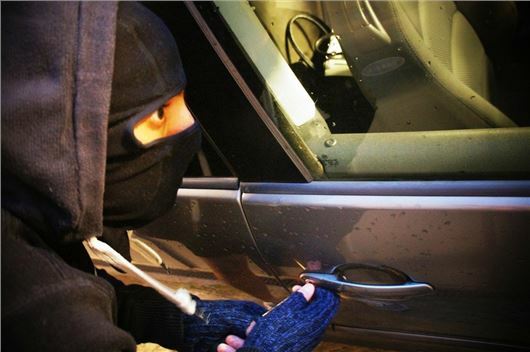 16 per cent of cars broken into or stolen in 2013/2014 were accessed because the door was not locked, while in 12 per cent of cases the offender broke or attempted to break a window. In 18 per cent of cases the offender forced the lock or tried to. In 1995 65 per cent of stolen vehicles were accessed by forcing the locks. The trend towards criminals using keys to access cars is attributed to improved vehicle security systems including immobilisers. These have also contributed to an 80 per cent reduction in vehicle thefts overall since 1993. Since 2001 all UK police forces have reported falls in vehicle-related crime. The average UK rate for thefts of cars is three in every thousand registered, with 10 in every thousand cars registered getting broken into but not taken. In 1993 those figures were 20 vehicles in every thousand and 40 vehicles in every thousand, respectively. The report also covers other vehicle related crime including thefts of items from a vehicle. This type of crime has also fallen since a peak in the late 1980s and early 1990s, when car audio systems and exterior fittings like badging were prime targets for criminals.